By admin | February 10, 2016. The National College of Art and Design (NCAD) students’ union has come under fire for “inappropriate” management of the college’s mental health awareness week. NCAD SU Mental Health Awareness Week. Photo: Hajar Akl. NCAD SU’s mental health awareness week saw a number of events taking place last month which aimed to “start conversations with others and raise awareness of how important it is to look after our mental health”. Among the activities that took place were suicide awareness training events and free massages and boxing demonstrations. However, NCAD student Niamh Forbes was among those who criticised the union for a lack of practical information being provided to students throughout the week about how to deal with their mental health. “A lot of the activities you’ve planned seem to focus on ‘stress’ instead of ‘mental health’, which are very different from one another,” Forbes posted online. Forbes’s fellow NCAD student Róisín Ní Mhaonaigh added that the week could have also been used as an opportunity to highlight the college’s “overstretched” counselling services. 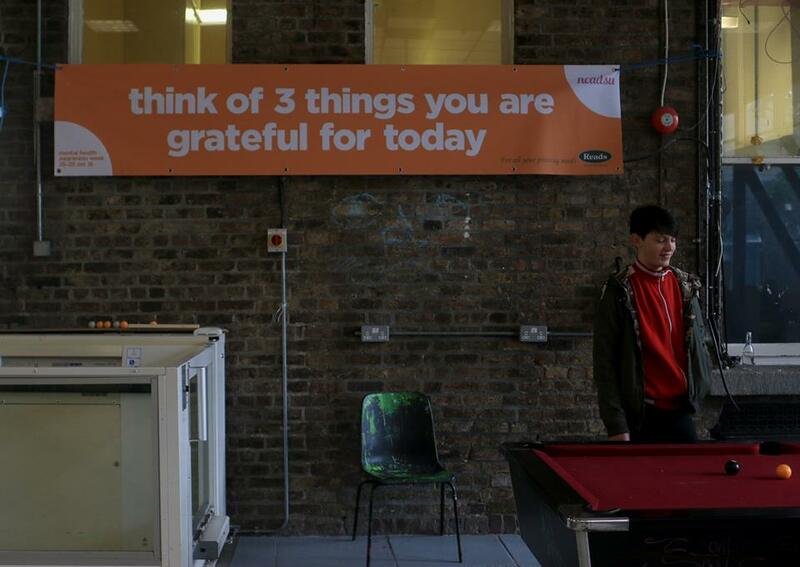 “I’m really grateful to Linda, NCAD’s counselor. In my opinion, she is very helpful and understanding and the work she does at NCAD is incredibly valuable,” she stated online.